The summer before my senior year of college started out great. I secured an internship at Blue Cross and Blue Shield of South Carolina, I was getting ready for my 21st birthday and I only had one year of college left. One week into my internship something was off. 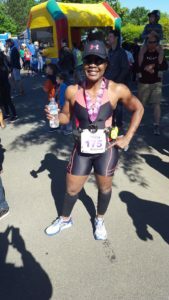 I was extremely thirsty all of the time and had to urinate frequently – I was (literally) sprinting to the bathroom in between meetings! After another week of experiencing these symptoms (with more than a few close calls), I went to the emergency room. I already self-diagnosed myself with Kidney Stones or a Bladder Infection. I figured it was a quick fix; the doctor would write a prescription and send me home. After sharing my symptoms, the staff started running tests. The results came back fast, and my doctor told me they found sugar in my urine. I thought to myself: No big deal, I’ve always been a sweet girl! Needless to say, more tests were needed. The doctor checked my blood and discovered that my blood sugar levels were well over 400. The normal fasting range is 70-120 for non-diabetics. My entire life changed that night in the ER. I was diagnosed with Type I Diabetes and admitted to the hospital after my first insulin injection. I was terrified, confused and completely uninformed about diabetes. I spent the next few days in the hospital learning and practicing insulin injections on an orange. Diabetes was new to my family and me. I learned that the extreme thirst and frequent urination were symptoms of diabetes. I thought my life was over. Twenty-two years passed since that night. And I’ve learned to manage my diabetes effectively. For the most part, my journey with diabetes has been good, but not without challenges. I had to make many lifestyle changes, but its made me a better person. I truly view my diagnosis as a blessing in disguise, as I am forced to make better choices about my diet and exercise. I have always been active, and diabetes hasn’t changed that, but it does require me to take certain precautions when I work out. Certain activities cause my blood sugars to drop, so I have to make sure that I eat before I swim, run, bike, or do any aerobic activity. I also learned that strength training elevates my blood sugars. I used to keep my disease a secret, but now share it because sometimes I need help. 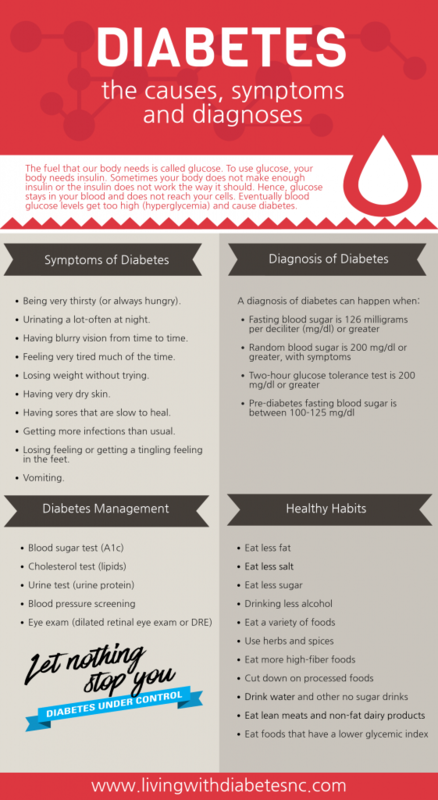 Click here to learn more about Diabetes symptoms, causes, and treatments. My family witnesses me deal with this disease daily. Fortunately, neither of my two sons have diabetes. And being pregnant with diabetes is a blog for another time. My husband has been incredibly resourceful in helping me deal with diabetes. While he doesn’t have diabetes, he understands my challenges and supports me in ways that most could not even imagine. He takes great care of me and has even started to educate my boys about being aware of low blood sugars. This is extremely important as my youngest found me unresponsive due to low blood sugars about two years ago and called the paramedics for me, essentially saving my life. As a parent, I was devastated that my kids had to witness the event. But I also felt comfort when my boys told me that when the paramedics arrived, they went to their rooms and just started praying for me through their tears. Living with diabetes is no easy feat. However, managing the disease has gotten much easier over the years. I have an excellent care team and, of course, I think my doctor is the best. There have also been so many advances in managing diabetes. 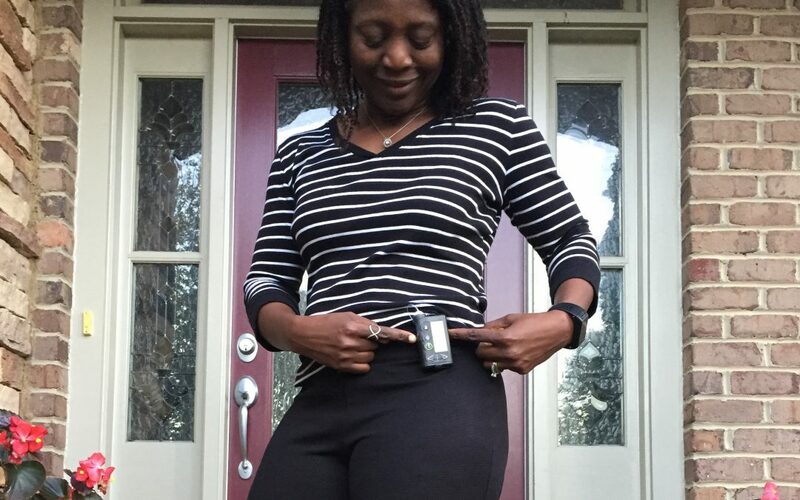 I have gone from taking 4-6 injections daily to wearing an insulin pump that makes the delivery so much easier and inconspicuous. Also, I can connect to a continuous monitoring device that allows me to observe my blood sugars readings at any time of the day. This is especially important when I do presentations or participate in important meetings. I credit these medical advances, my family and my commitment to living a healthy life for the success I’ve found in my career and at home.